The Irish people originated in Ireland in northwestern Europe 9,000 years ago as a Western European ethnic group. Today, Ireland has a population of around 6 million, 4.2 million of which belong to the Republic of Ireland while 1.75 million reside in Northern Ireland. The island has a population growth rate of 12.36%. Irish people are known for being hardworking, honest, friendly, hospitable, adventurous and humorous. They place very high importance on family life and they involve children in significant events. Irish people are also very famous for their writers. Some of the world-renowned Irish writers include Bram Stoker, Jonathan Swift, James Joyce, Oscar Wilde, William Butler Yeats, Samuel Beckett, Patrick Kavanagh, Seamus Heaney, Brian O'Nolan, Peig Sayers, Muiris O Suilleabhain and Mairtin O Direain. Ireland, which derives its name from the Celtic goddess Eire, is one of the most prominent countries in Europe in terms of rich historical background, cultures, people, and tourism. Lying to the northwest of continental Europe, it is the third largest island in Europe and the 20th largest island in the world. The Republic of Ireland is the sovereign state of Ireland, which covers five-sixths of the island while the remaining part is Northern Ireland, which is under the United Kingdom rule. Its capital is Belfast. The Republic of Ireland, whose capital is Dublin, was partitioned on May 3, 1921. It is now a parliamentary democracy and a republic. It has the 32nd rank among economic powers and the sixth highest gross domestic product per capita in the world. A member of the EU, the OECD and the UN, this country remains one of the most sustainable states in the world. 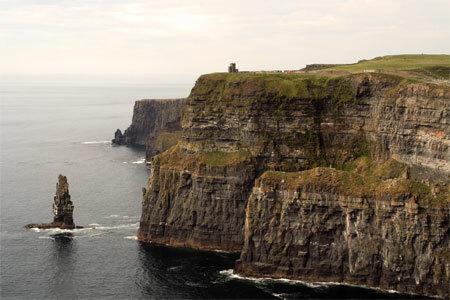 Ireland is known for varied landscape, rocky mountains, rugged cliffs, lush greenery, and panoramic views. An island with 27,136 square miles, it lies directly west of Britain across the Irish Sea. Carrantuohill, standing at 3,414 feet, is the highest peak on this island, while the longest river is the River Shannon. Two of the largest lakes are the Lough Neagh in Northern Ireland and Lough Ree in the Republic of Ireland. 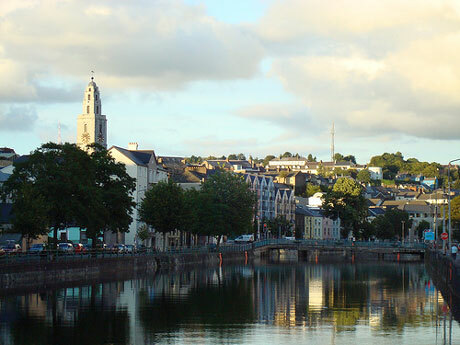 Some of its largest cities include Dublin, Belfast, Cork, Limerick, Derry, Lisburn, Galway, Newtownabbey, Bangor, Craigavon, Castlereagh, and Waterford City. Among these, Dublin is the most populated with 1,030,431 inhabitants. 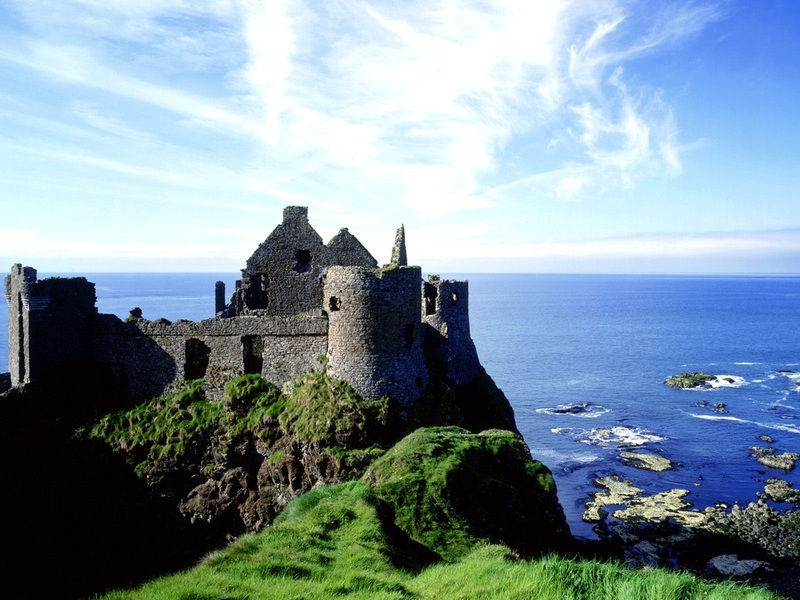 Tourism is lucrative in Ireland as there are many wonderful and picturesque travel destinations on this island. Bru na Boinne, one of the leading tourist spots in Ireland, is a historic landscape situated on the banks of Boyne. 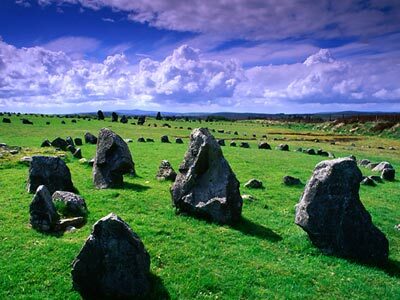 This place is filled with prehistoric monuments such as Newgrange, Knowth and Dowth. Another worthwhile place to visit is The Burren, a limestone plateau similar to a moonscape where you can enjoy a fantastic view, ancient monuments and bizarre rock formations. 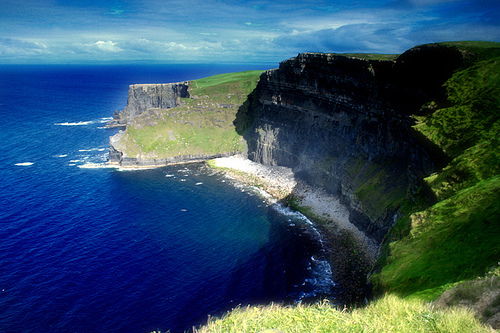 It is located between the Aran Islands and the university city of Galway. Visitors also frequent the Hill of Tara, the ancient seat of the High Kings of Ireland because of its rich history and significance to the Irish heritage. Many tourists also love to explore Dublin, a city abounded with scenic sights and historical museums. Admirers of Irish history, architecture and nature would surely enjoy a tour in Glendalough, where they can marvel at the two round towers, St. Kevin's kitchen, a cathedral ruin, and walks along the lakes. In the early years of Irish history, the first inhabitants of the islands were hunters and gatherers who lived in coastal areas and waterways around 8000 and 7000 BC. The Celts migrated to the Island during the period of 1000 to 300 BC. They had a strong influence and control in Europe at that time. In AD 432, St. Patrick established the first Roman Catholic Church on the Island. The Viking Norsemen attacked Dublin around 800 A.D. and they settled in Waterford, Dublin and Limerick around the 900s. In AD 940, Brian Boru was born, and he grew up to defeat the Vikings. He became the king of Ireland. English influence arrived in Ireland in 1167 when the Normans from England settled on this island. The Scottish failed in its attempt to overthrow Norman rule in Ireland in the 1200s to the early 1300s. 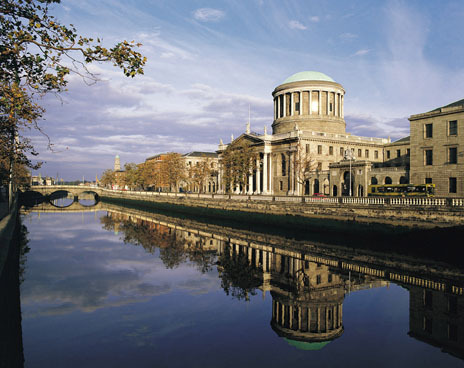 Around the 1400s, Henry VII placed Ireland under the English law. His successor, Henry VIII took control of the island, overthrew the Norman Irish Earls of Kildare and became King of Ireland in 1541. In the 1600s, Protestant religion spread all over Ireland. Rebellions that occurred for nine years were concluded in 1601 when the English defeated the rebels. In 1649, Oliver Cromwell took over Ireland while conflicts between England and Ireland started again. In the 1800s, Ireland experienced a failed insurrection wherein the leaders of the island were sent to Australia. The Great Hunger (Potato Famine) occurred from 1845 to 1852 during which over one million people died. The ongoing rift between the Irish and the English went on. When the island was partitioned into Northern Island and the Republic of Ireland, some issues were resolved but minor conflicts remain up to now. As for the nightlife, Ireland is known for its cozy country pubs, lively nightclubs, and all-night cafes catering to different ages and classes. Traditional pubs on this island are great for meeting people, dining, drinking, and having a grand time. Local musicians play in these places so you can experience Irish music when you go to these pubs. Modern nightlife is also present in some continental-style cafe bars, disco bars and nightclubs. Dublin, being the most populated city in Ireland, has the liveliest nightlife on this island, probably even in all of Europe. Nightlife is also enjoyable in other cities such as Belfast, Galway and Cork. Ireland is also very popular for its abounding culture. In arts, many Irish people are world-renowned authors, playwrights, and poets. Some of them include Oscar Wilde, Samuel Beckett, James Joyce, Frank McCourt, Jonathan Swift, Oliver Goldsmith, George Bernard Shaw, William Butler Yates and Seamus Heaney. As for music, singing is a favorite activity of the Irish people, and they place significant value on the Celtic music. Irish people love to play button accordion, harp, tin whistle, bodhran (drum) and Uilleann pipes. Modern music is also making its way through the airwaves with Irish musicians such as Enya, U2, Sinead O'Connor, and Chieftains. Myths and legends are also an important part of the Irish culture. Stories about fairies, leprechauns, and origins of Celtic jewelry have been passed down through the generations. The Irish people also enjoy creating tradition crafts like woolen sweaters, jewelry, pottery, Irish linen, lace and peat sculptures. Irish people love to eat, and they are famous for their large breakfast called a "fry". Traditional Irish foods consist mainly of lamb, Irish stew, homemade cheeses, fresh fish, potatoes, cabbage, carrots, corned beef, sausage and freshly baked bread. The early cuisine of the Irish people was based on meat and dairy products. This did not continue when the Normans arrived in the eighth century and the Irish people were not able to hunt freely whenever they wanted to. During this time, growing vegetables became a practice. When the New World introduced the potato to the Irish people, they easily embraced it and made it a staple food. Up to now, it remains a significant part of the Irish meal. Irish chefs of today are known for whipping up the best lamb and seafood dishes. They also make use of dairy products to add delectable flavor to food.